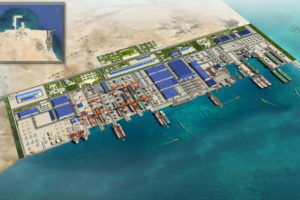 Dubai shipbuilding company Lamprell, specializing in servicing the offshore industry, signed an agreement with Saudi Aramco, Saudi Arabia’s national shipping company Bahri and Hyundai Heavy Industries on the joint implementation of the project to build the largest shipyard in the Middle East. 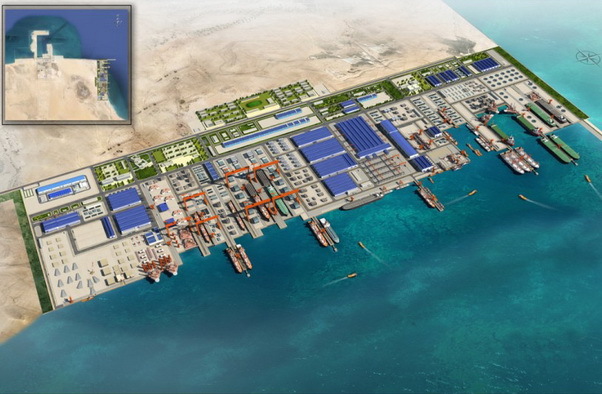 The shipyard with an area of ​​4.3 square km will be located on the Ras al-Khaimah coast in the east of Saudi Arabia. The commissioning of the plant is scheduled for 2019, reaching the projected capacity by 2022. The project provides for the creation of four production zones. It is assumed that Lamprell will become a technical partner in two zones, which will specialize in the construction, maintenance and repair of drilling rigs and commercial vessels. The technical partner of the zones intended for construction and repair of supply vessels and commercial vessels will be the South Korean Hyundai Heavy Industries. According to Lamprell, the company’s investments in the project will amount to 140 million USD and the company’s share in the project will be 20%. Controlling the shipyard will be Saudi Aramco with a 50.1% stake and investing in construction up to 350.7 million USD, Bahri will receive 19.9% ​​and invest 139.3 million USD in the project, while Hyundai Heavy Industries will hold a share of 10% and invests 70 million USD. The arrangements stipulate that in the first ten years of operation of the shipyard, the Saudi Arabian Oil Company will place on it an order for the supply of at least 20 drilling rigs, while Bahri – 52 commercial vessels.